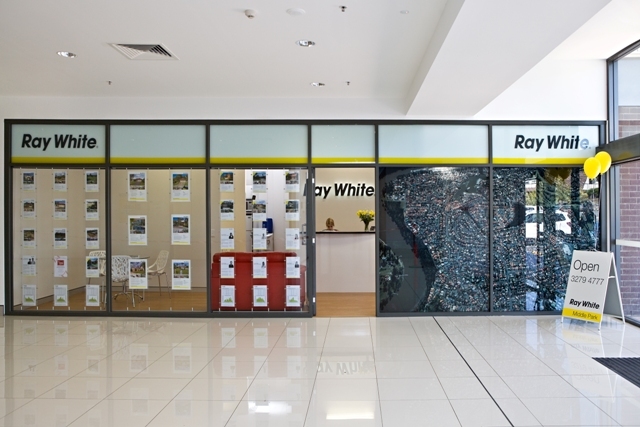 Ray White Middle Park have moved to beautiful brand new premises within the Park Village Shopping Centre. The window display includes a 2m x 3.5 aerial photograph of the suburb of Middle Park, and has become a tremendous talking point among locals. A feng shui consultant assisted with the internal layout, and furniture was custom-designed for the small space (just 67 sqm in total). Pop in for a chat about the market, and inspect our beautiful new office! The biggest sale in the history of Ray White is finalised!